Here’s a quick and easy dessert that is sure to be a winner with both adults and kids. 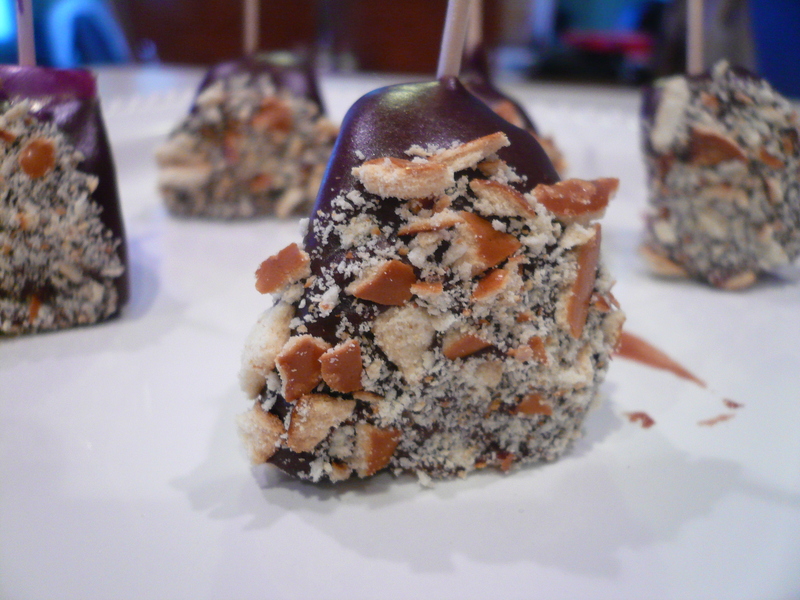 These are chocolate covered pieces of apple with crushed pretzels. Easy to do in just a couple of steps! 5. Once Chocolate is melted, dip each one in the chocolate and then the crushed pretzels.